I was very excited when I know I am going to dine at JIN Fine Dining by Chef Thomas Kok, one of Singapore's pioneers of Japanese food. I have heard about Chef Thomas from fellow foodies but has never met him in person. I am glad I got to meet him. Chef Thomas is really a very nice and warm person, it felt that I have known him for years. 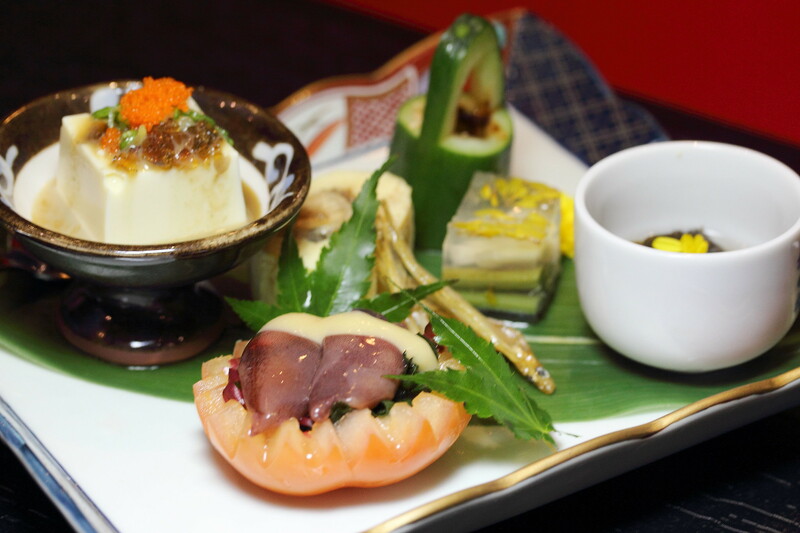 Starting off the dining is this exquisite Starter Platter that comes with Pitan Tofu, Marinated Squid, Tamago with Eel, Jelly with Vegetable and Seaweed. It felt like I am having amuse bouche that showcases the culinary philosophy of Chef Thomas towards Japanese cuisine. Next up is the plate of Red Snapper Sashimi paired with Truffle. It seems like there is a new trend of using truffle in Japanese cuisine. It demonstrated the constant evolving of food incorporating other ingredients or techniques. The pairing of red snapper sashimi with truffle turned out surprisingly good. 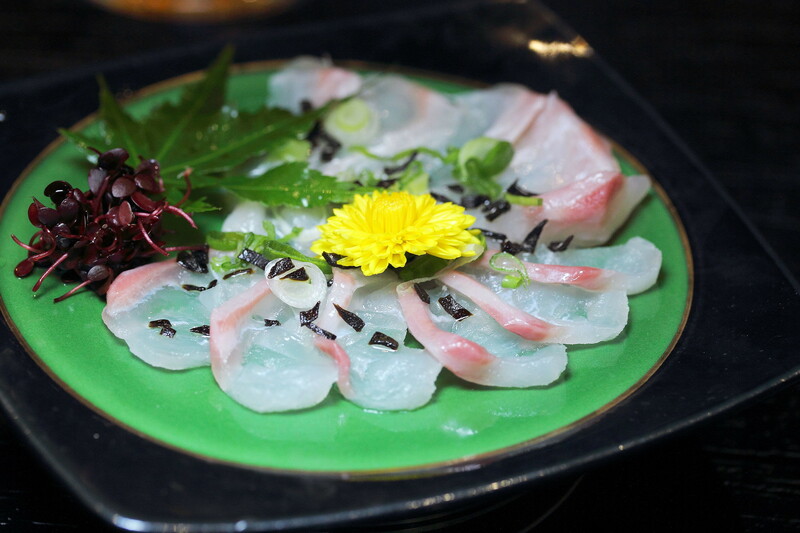 The combination gave a new experience in appreciating the raw fish. 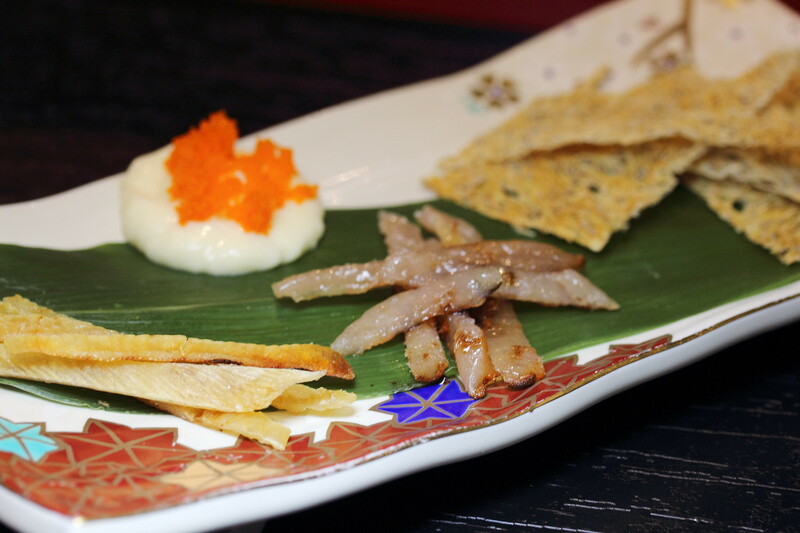 The Eihire (grilled stingray fin), Fugu Mirin Boshi and Tatami Iwashi (dried sardine sheet) are the perfect trio to go with a beer. Even Chef Thomas could not resist the temptation and joined me with her beef as we nibbled on these snacks and caught up with some conversations. 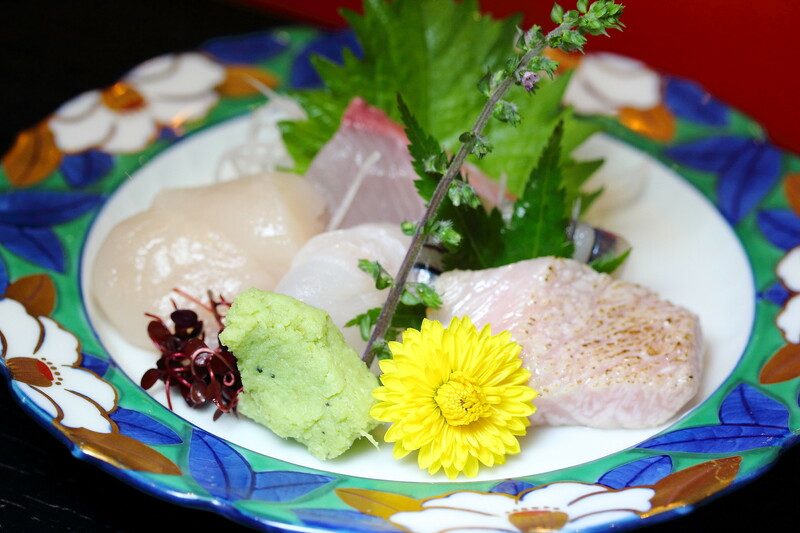 Freshness at its best is this Sashimi Platter of Toro, Cuttlefish, Scallop and Hamachi. It felt like summer has come early with these freshness blooming like flowers in my mouth. 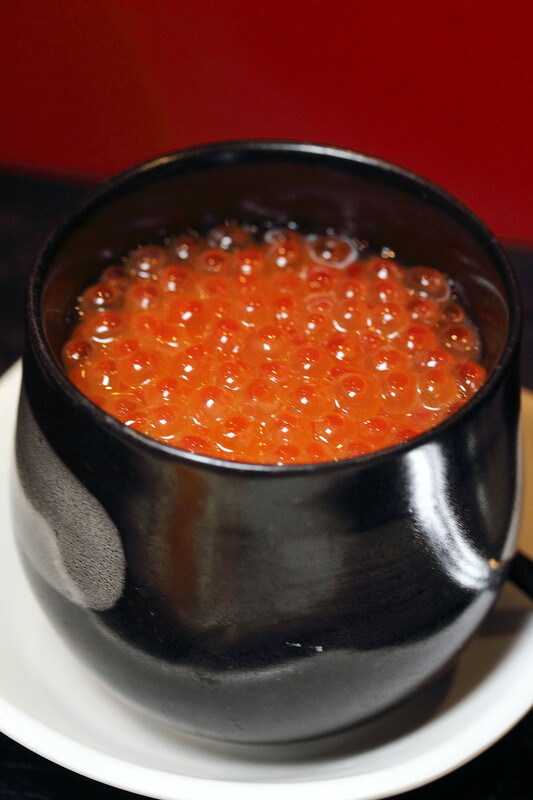 The sight of the Ikura Chawanmushi itself already opened my appetite. Chef Thomas shared with me that the ikura is specially imported from Hokkaido as they are not too salty. Indeed it was not as salty and provided a nice harmony to the comforting steamed egg. The whole fish was lightly seasoned with salt and grilled to perfection. It was moist inside with a thin crispy exterior skin. 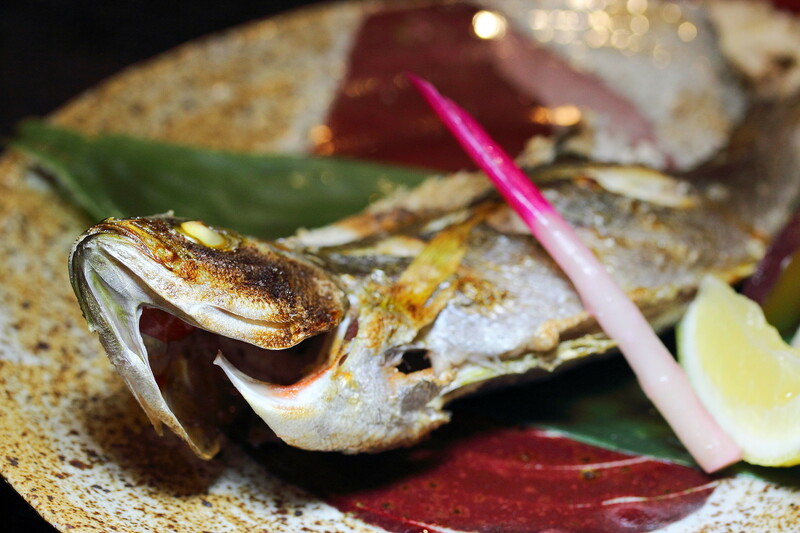 The salt further accentuated the sweetness of the Grilled Fish with a aromatic smokiness. Chef Thomas Kok taught me to pour some soy sauce onto the radish and eat it together with the fish. The method further complemented the enjoyment. One of the best beef from Japan is from Saga Pertecture where the cattle are breed in a clean air and water surrounding in a no stress environment. The premium beef has to pass strict criteria. It must be equivalent to the Japan Meat Grading Association's top grade of 4 or 5, and have a Beef Marbling Standard (BMS) rating of 7 or higher out of the maximum of 12. Saga Beef is tender because the red meat is interspersed with fine veins of flavoursome fat. 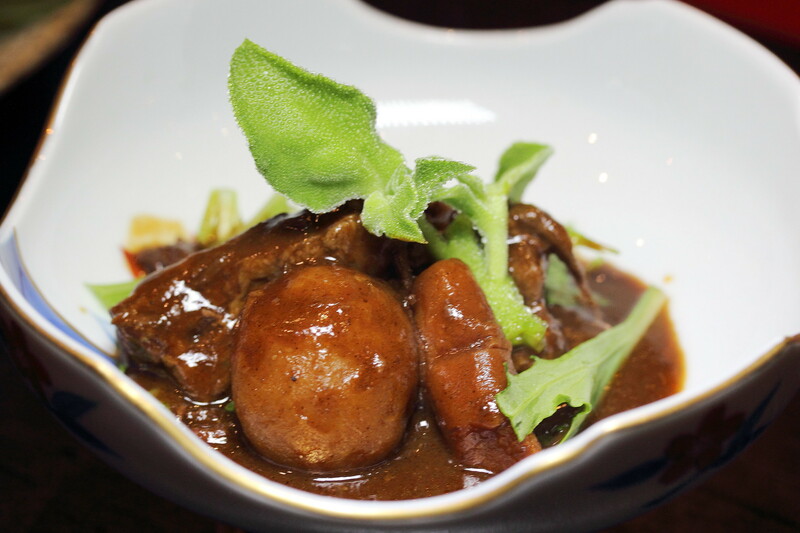 The Stewed Saga Beef was slow cooked for hours to achieve that rich, melted in the mouth texture. 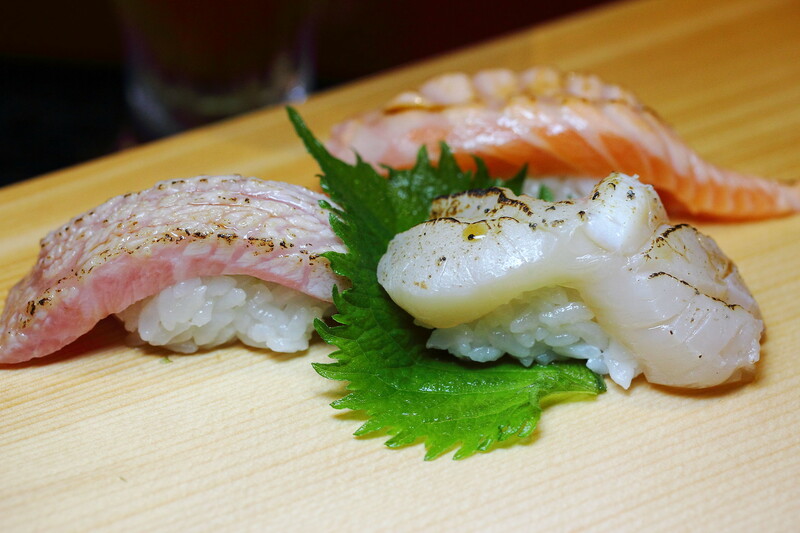 What is more satisfying towards the end of the omakase dinner is the Aburi Sushi of Scallop, Toro and Salmon Belly. I like the fact that the ratio of the vinegar rice to the ingredient allows the fresh ingredients to be appreciated while not feeling too full. 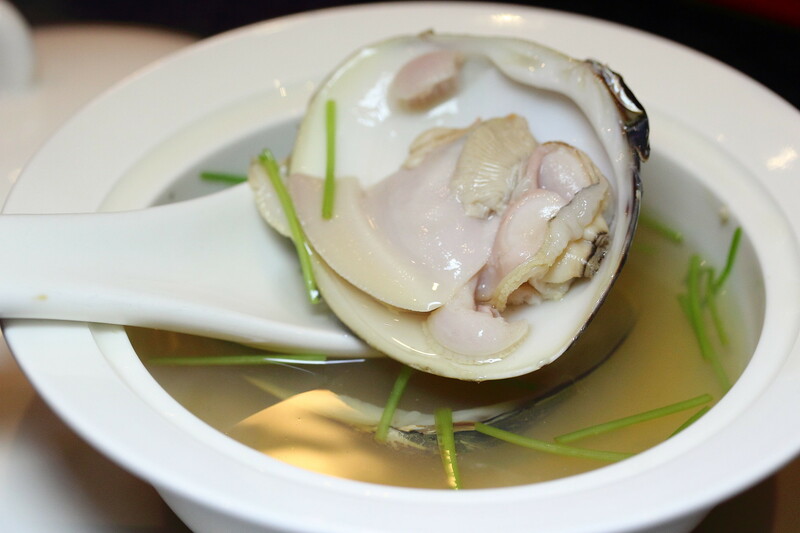 The Hamaguri Clam Soup was light and refreshing, natural flavoured from the sweetness of the huge clam. Perfect to wrap up the meal, washing down the greasiness. It is like having a cup of tea after a satisfying meal. 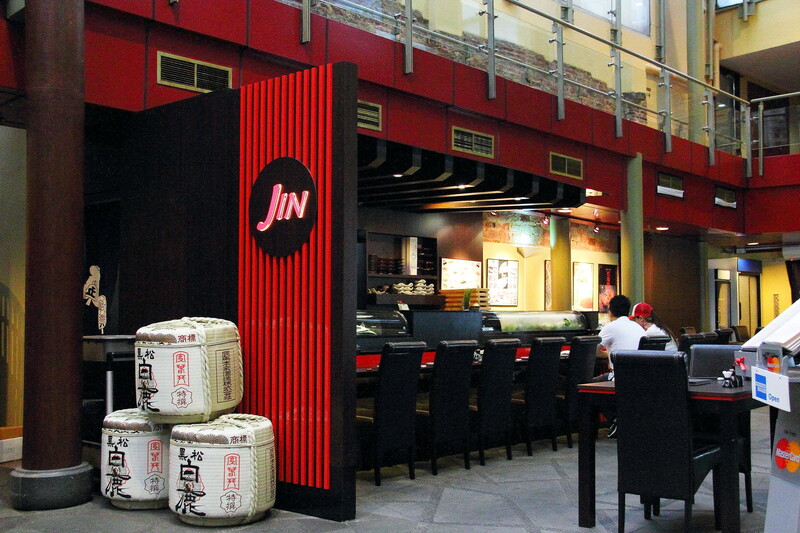 I have totally enjoyed my dining experience at JIN Fine Dining. It may be a bit pricey but you are paying for the quality with most of the ingredients freshly flown from Japan. For a value for money deal, if may want to check out the special 8 course omakase set, Chef Thomas is offering to ieatishootipost readers. I understand it is still available when I last checked with Chef Thomas. Got the Jin chirashi, which was quite good. The sashimi was fresh and juicy and the rich was fragrant. I have been there three times. However, unfortunately, my experiences was always spoilt at the end - while making payment at the counter. Somehow, the cashier was always rude and curt in their words. I have had two different women serving me at the cashier on different occasions, and both were rude. This was in contrast to the pleasant waitresses who took my orders and served me the food. Apart from that, restaurant gets quite noisy when crowded; probably because of the structural layout of the restaurant. But this, of course, is of no fault of the service personnel.